NEW! 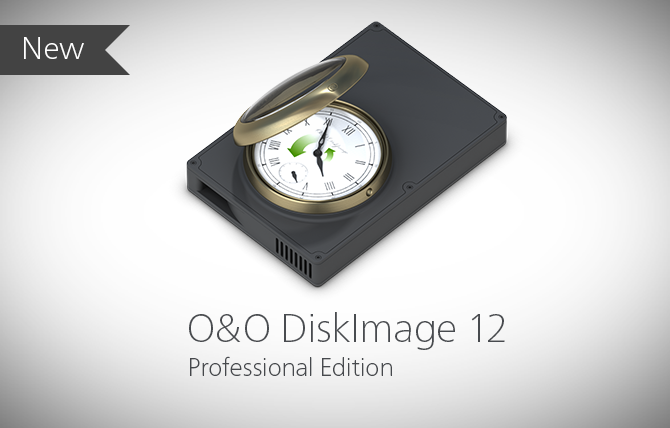 O&O DiskImage 12 Professional Edition: Faster Backup, Faster Security! The amount of data we own is increasing, be that private data or confidential business data. People often do not correctly protect this data by backing it up as that process itself is time-consuming. This applies to companies too. That is why O&O Software has substantially increased the speed of data backups in the new version 12 of O&O DiskImage 12! A backup means you can restore old files, applications or an entire PC when something goes wrong, allowing you to turn back the clock any time you need to! The most important security software on your PC! What is the most valuable thing you have saved on your PC? Yes, your data! Photos, documents, scans, private videos, business data and everything else you save in an electronic form. And this data needs protection. It is constantly under threat – from defective hard disks, SSDs, viruses, Ransomware and malware or even through simple accidental deletion. A current backup is the only protection to ensure your data is not lost forever. The new O&O DiskImage 12 Pro protects your data. Even if you are no computer expert, you can easily create images of your complete Windows system, clone drives or just backup your important files and folders. We have developed the file backup feature anew to increase speed and stability across the board. When measured for single files, mixed files and program files it is now twice as fast in backing up your personal, confidential and program files. Why you must backup your data! A regular backup is still something that many users prefer to avoid. At least that is until they suffer their first loss of important files as a result of software, hardware or user error: that’s when it becomes crystal clear just how valuable a reliable and up-to-date backup really is! When you back up a PC, O&O DiskImage saves all personal files as well as hard drive information and individual settings. This not only protects irreplaceable files but, in a worst case scenario, also saves you the trouble of having to carry out a time-consuming new setup of programs and the Windows operating system. The advantage of a full Image of your system is that you can restore your old familiar computer quickly should something go amiss, including apps, settings and the operating system. If you need to restore the Image onto a new PC with different hardware, or a PC where you have changed the motherboard, for example, then O&O DiskImage 12 can do this no problem. The integrated MIR function (Machine Independent Restore) enables this for you. O&O DiskImage 12 Pro has been specifically developed for Windows 7, Windows 8.x and Windows 10 and with emphasis on having only a low impact on processors and memory on older PCs. Basically, not much new from v11 to v12 Pro for my decade old 64-bit W7 HPE SP1 PC. What does “Boot Medium for Bare-Metal Restore” mean?